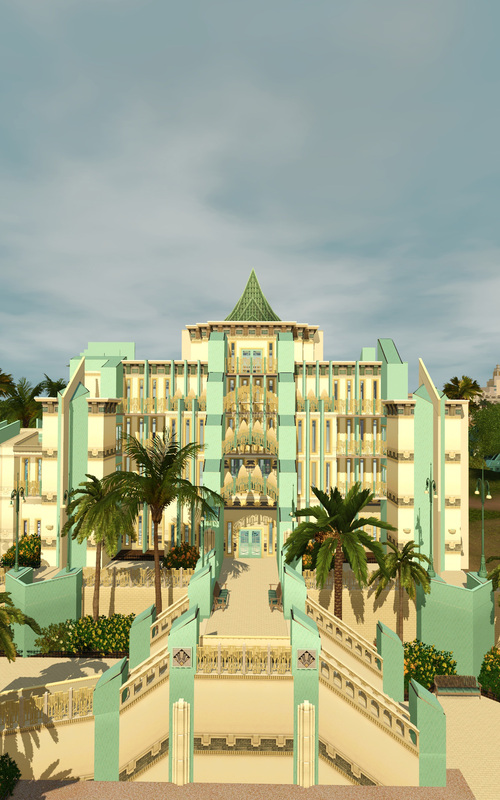 Welcome to the Emerald Star! 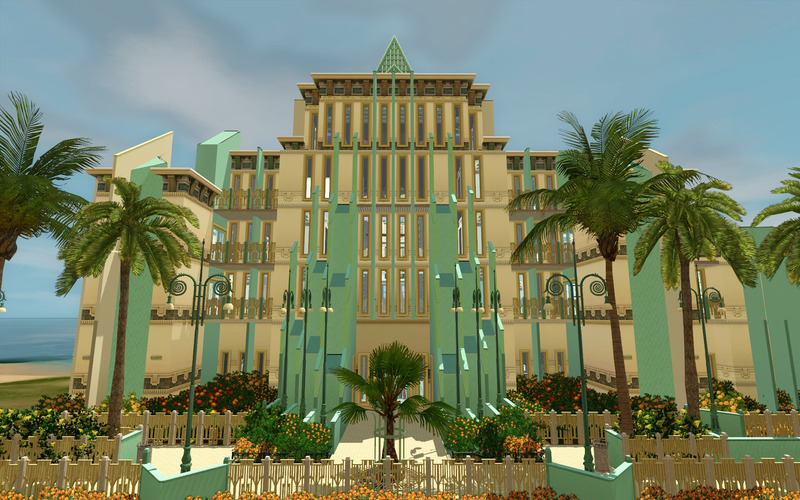 An art-deco cathedral of opulence. 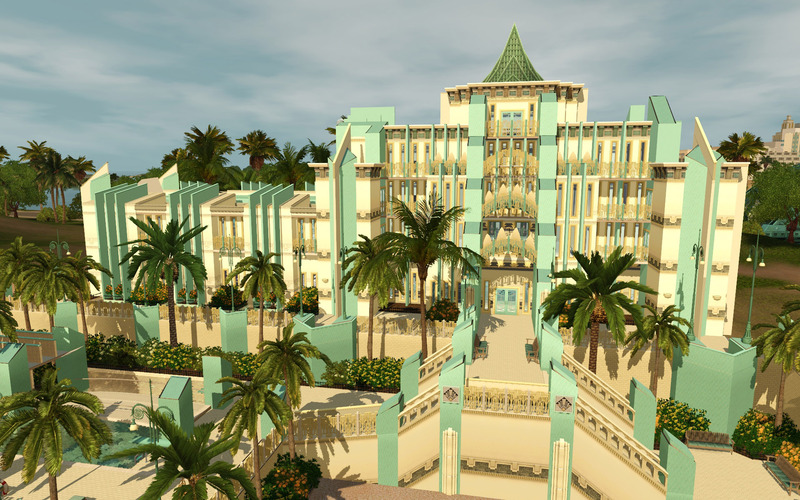 The shining glittering jewel of roaring heights. 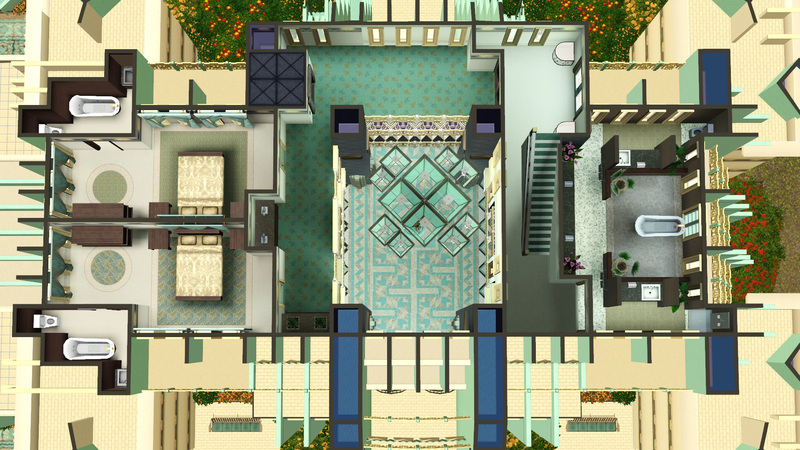 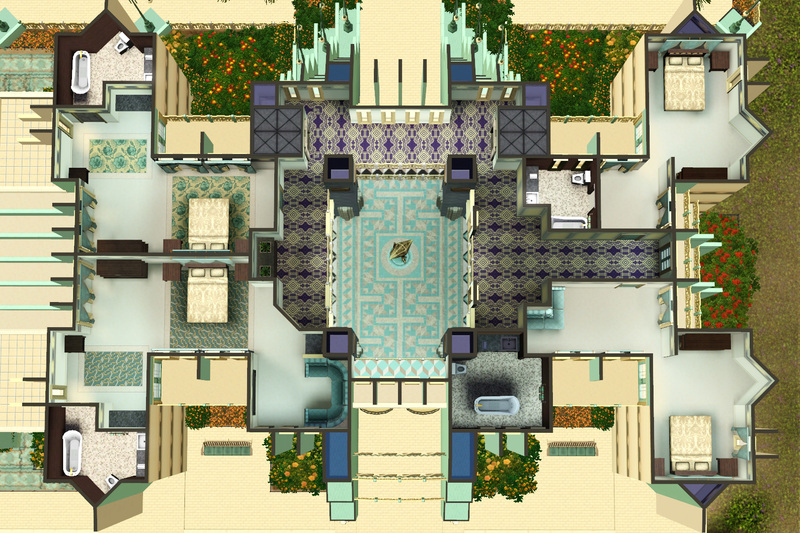 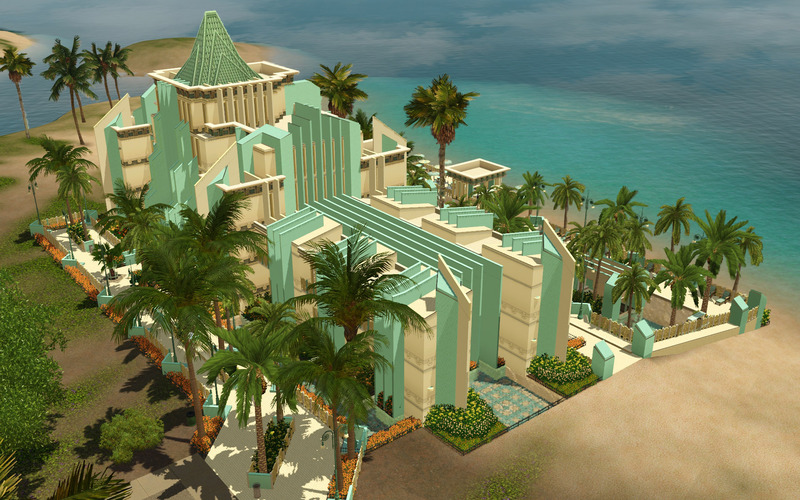 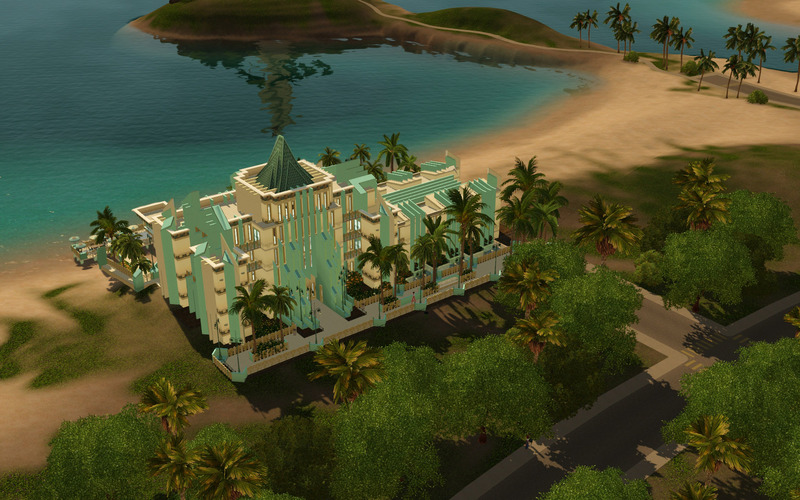 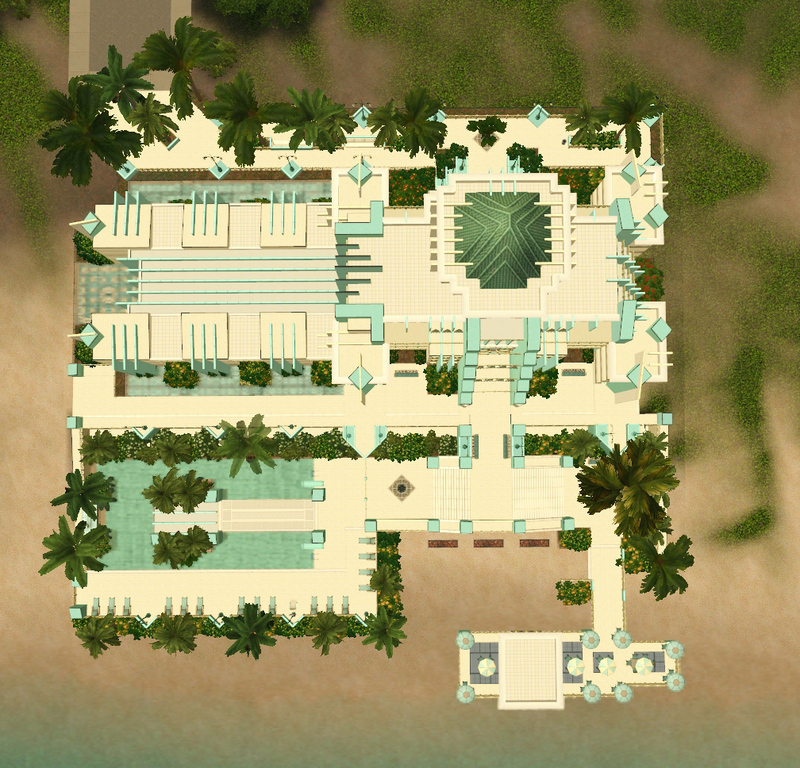 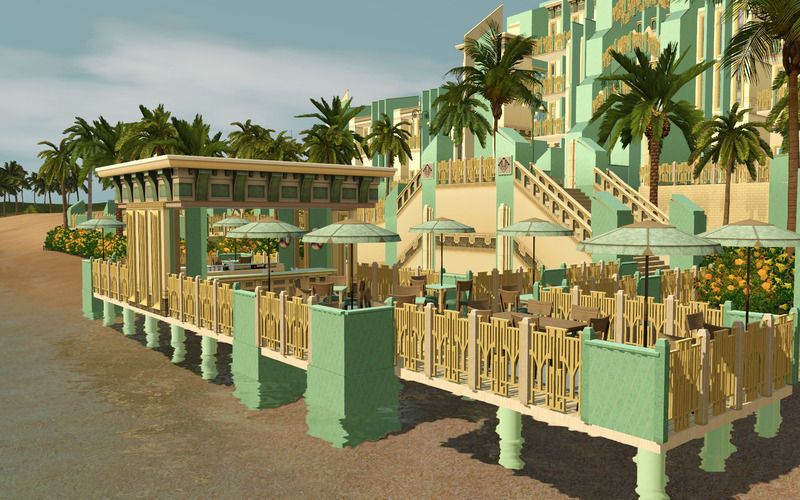 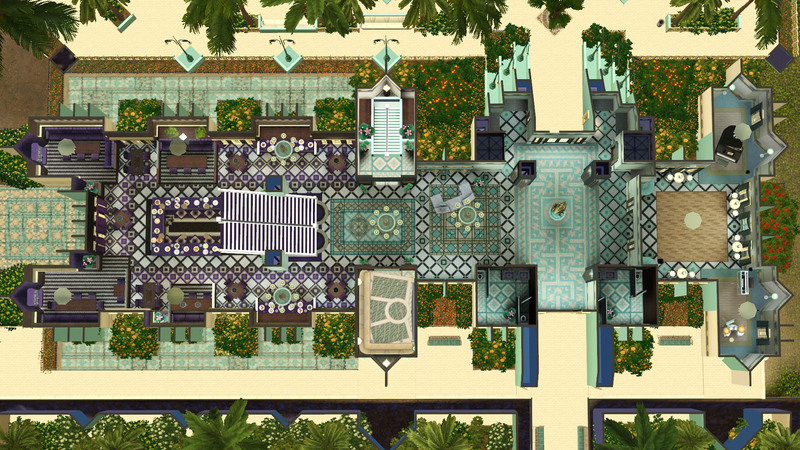 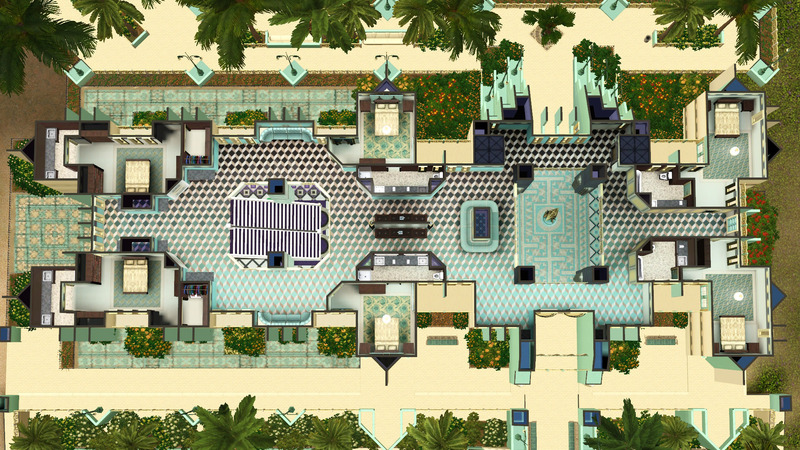 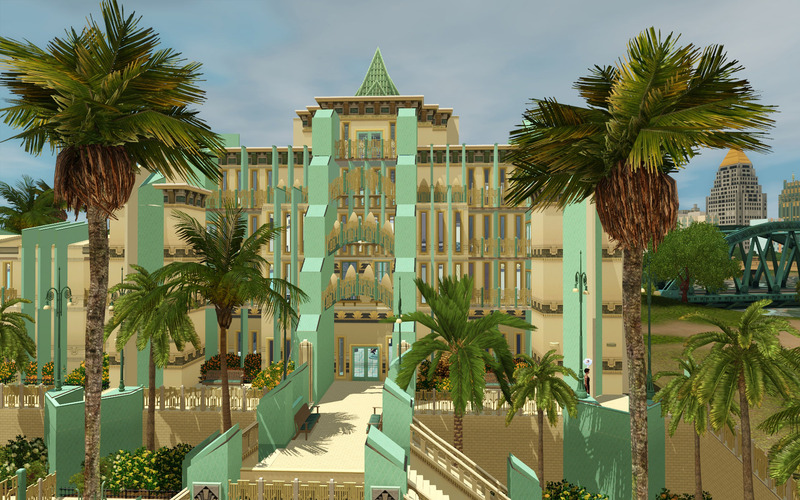 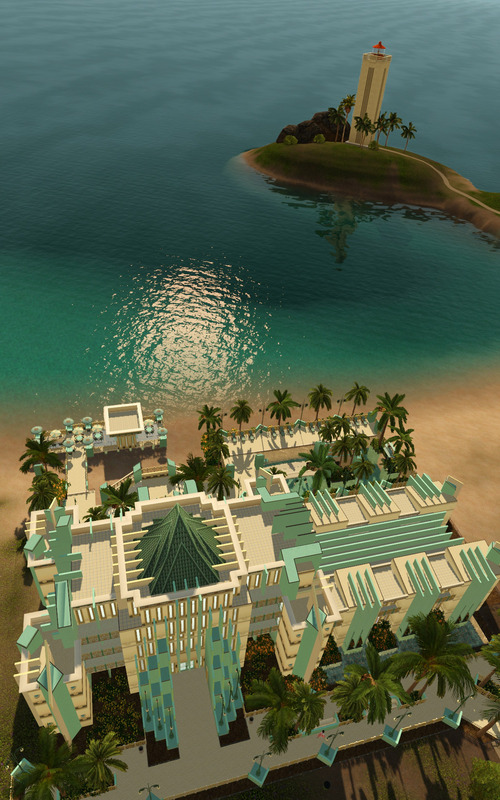 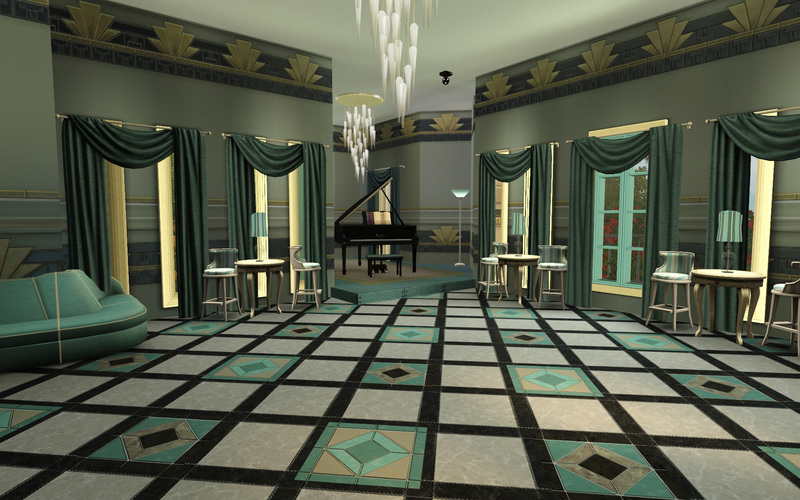 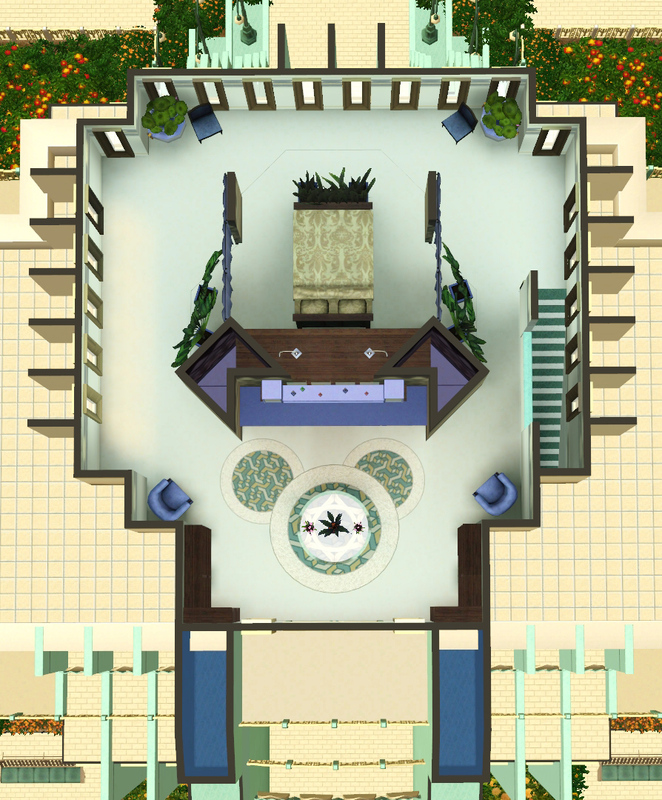 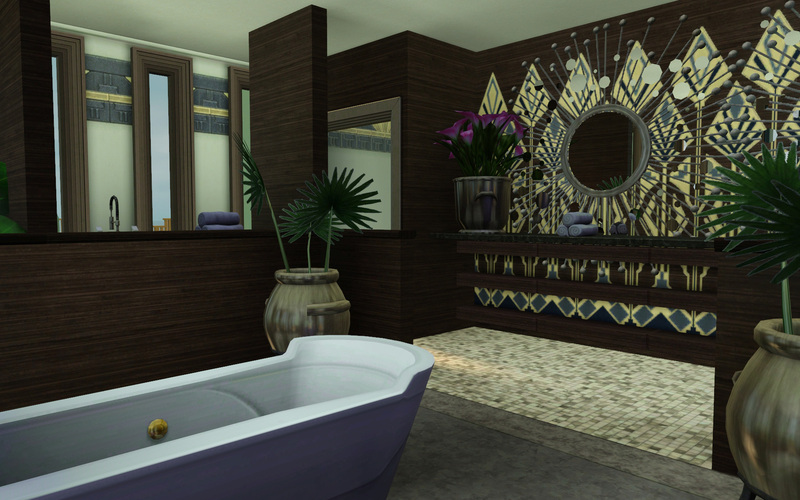 Take your sims to the most luxurious resort they'll ever have the pleasure of staying at. 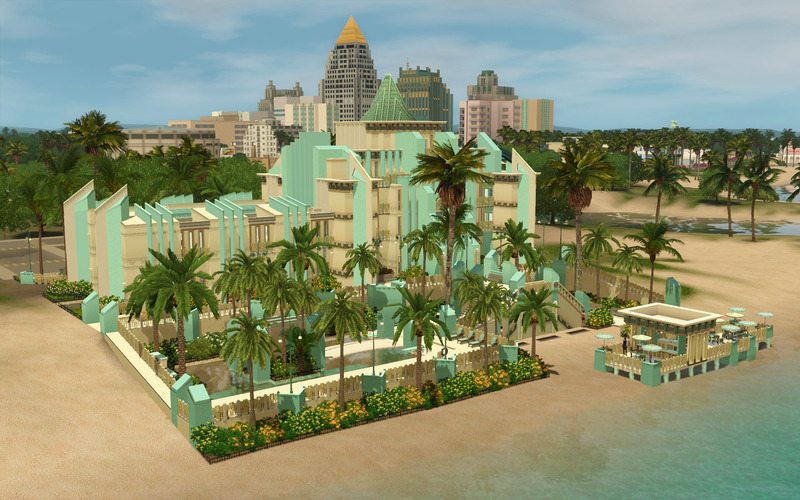 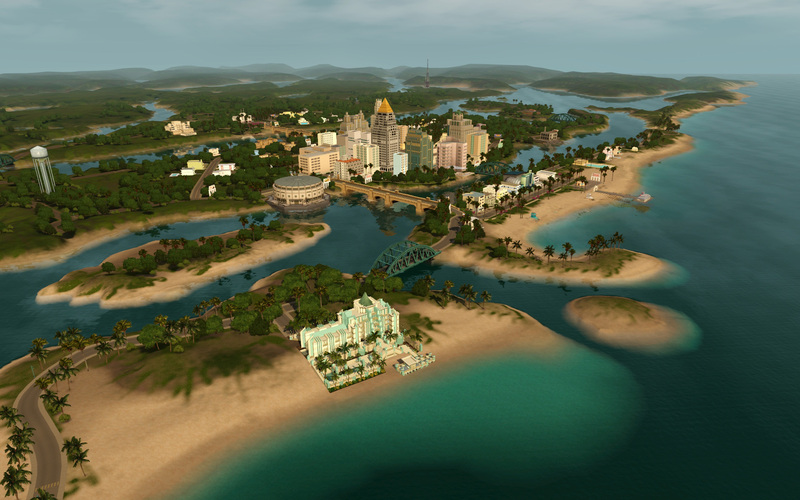 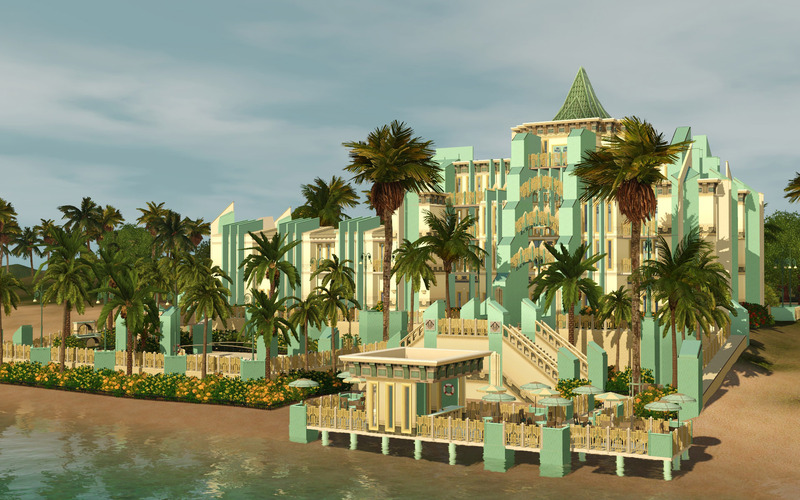 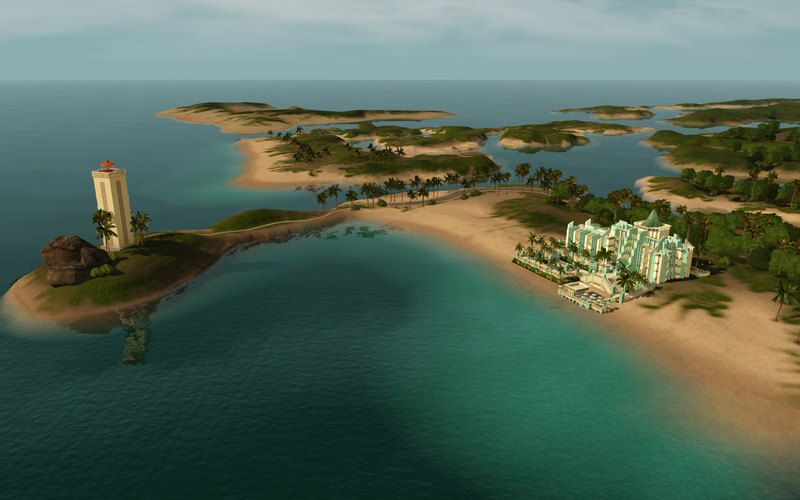 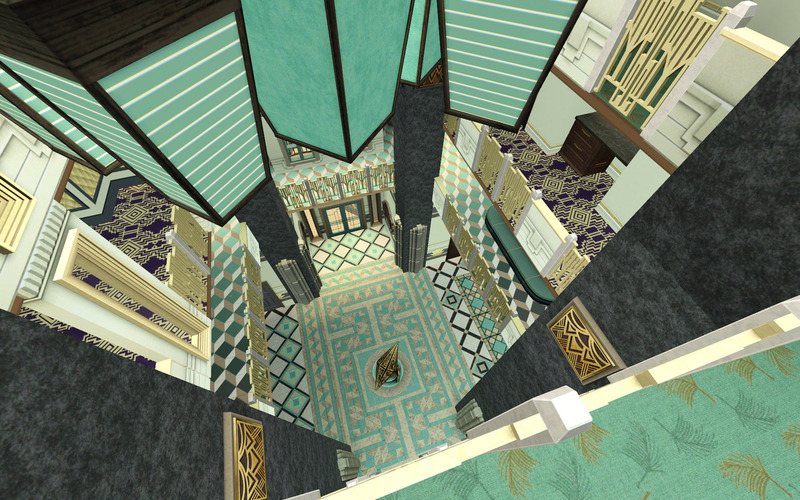 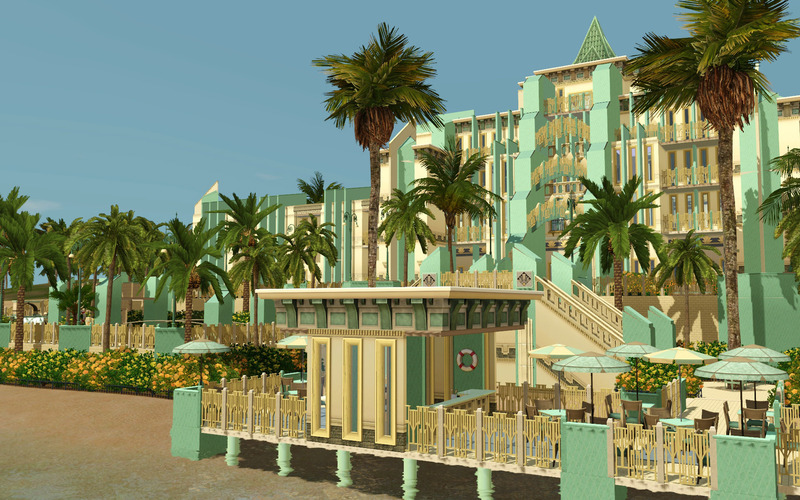 Features include a spa, gym, outdoor pool, beach access, pier with bar, elaborate decoration and intricate mosaics, a fully upgraded resort tower (in the basement) and rooms to sleep over 25 VIP sims. 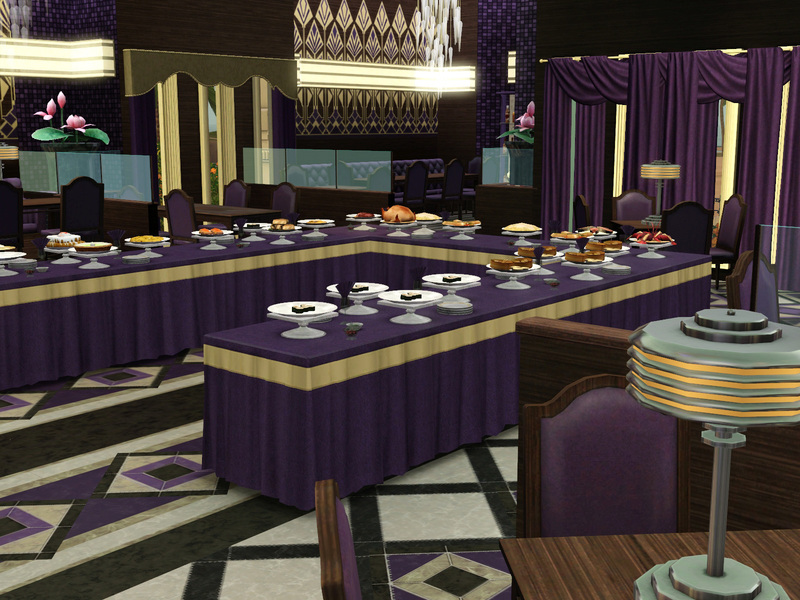 Sims every whim will be catered to by our courteous staff so don't hesitate, just ask! 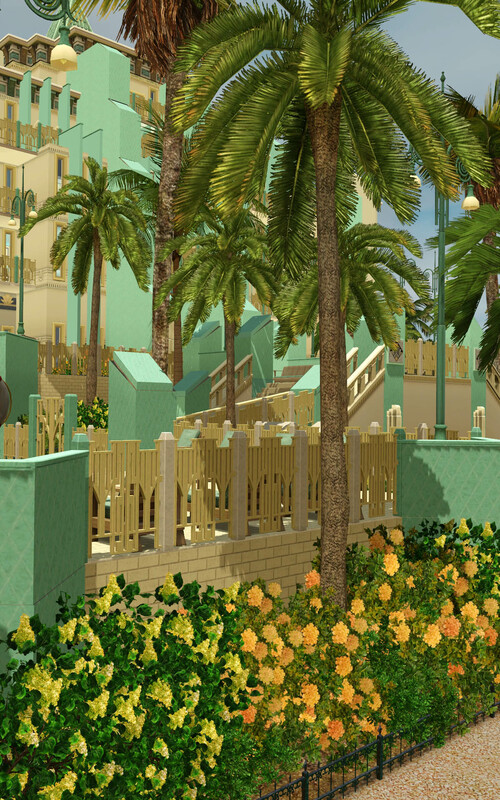 This lot is not flat and is intended to only be used in the shown location in Roaring Heights, it will deform terrain if placed elsewhere!